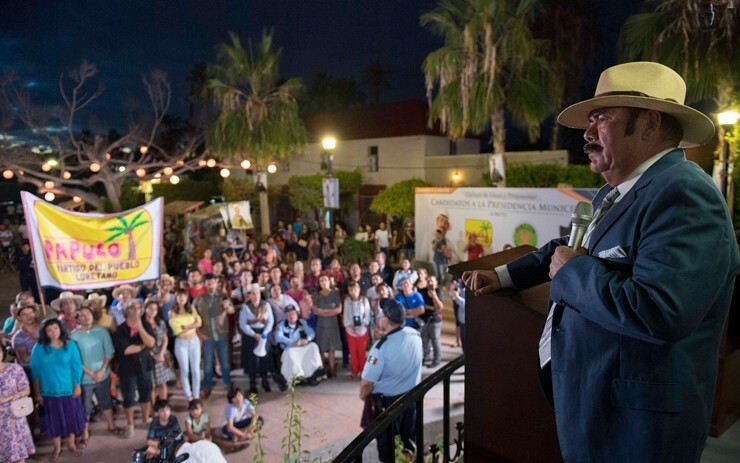 A new year has started and there are fresh telenovela projects underway for the pleasure of Latino viewers. Both Univision and Telemundo are ramping up production as the competition heats up in the race to the top. We have compiled the TOP 10 telenovelas you must watch in 2017 in our list below. Telemundo is starting off the year with the premiere of "La Fan" on Tuesday, January 17 at 8pm ET/PT. Angélica Vale stars as Valentina, a happy-go-lucky woman from a poor background who is a passionate fan of a famous telenovela actor until an unexpected twist of fate drives her headlong right into his life. Her idol may hardly notice her at first, but by the time the story ends he won’t be able to imagine his life without her. 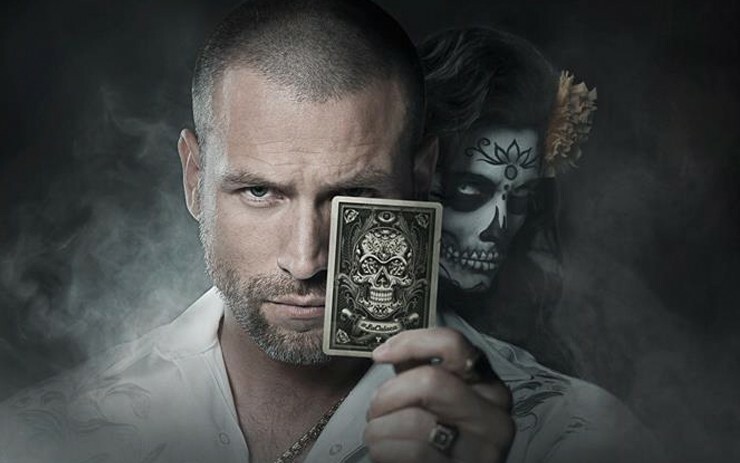 Cast of this series includes Juan Pablo Espinosa, Scarlet Ortiz, Omar Germenos, Gloria Peralta, Elsy Reyes, Gabriel Valenzuela, Maritza Bustamante, Pablo Azar, Gabriel Rossi, Begoña Narvaez, Ricardo Kleinbaum, Josette Vidal, Lorena De La Garza, Mario Espitia, and many more. 2. "Su Nombre Era Dolores, La Jenn Que Yo Conocí"
Univision is set to premiere the bioseries of Jenni Rivera on January 15. The production is not approved by the Rivera family and they are not involved in what is being said about "La Diva de la Banda". "Su Nombre Era Dolores" is based off a book by Rivera's former manager, Pete Salgado. The series has an all-star cast lined up including María Rojo, Luis Felipe Tovar, Regina Orozco, Javier Díaz Dueñas, Delia Casanova, Juan Soler, Lumi Cavazos, Alex Perea, Liz Gallardo, and Luz Ramos as Jenni. 3. "La Doble Vida de Estela Carrillo"
Telenovelas where music is a central theme will be popular in 2017. Univision is lining up "La Doble Vida de Estela Carrillo", a project based on a real life story about an immigrant woman in the U.S. that dreams of reaching stardom in the banda world. Her destiny takes her to be a teacher in Riverside, California where she is a witness of a school shooting, where she becomes a hero when she saves her students lives. Her citizenship status doesn't allow her to receive any recognition as she fears being deported. Ariadne Díaz stars as Estela Carrillo and she is joined by David Zepeda, Africa Zavala, Danilo Carrera, Erika Buenfil and many more. Telemundo is set to produce its first musical telenovela called "Guerra de Ídolos". The series will show a deeper look into the struggle in front of and behind the camera of those who manage and control the music business. 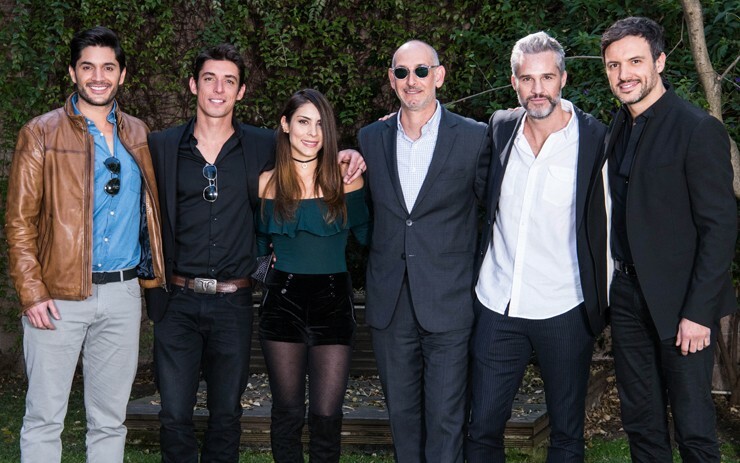 The drama series stars María Léon, Alberto Guerra, Alejandro de la Madrid, Juan Pablo Medina and Daniel Elbittar. “Guerra de Idolos” will also feature José María Torre, singers Pedro Capo, Christian Pagan, Luis Figueroa and Alex Brizuela; Marco Treviño, Carmen Beato, Fabiola Campomanes, Fernando Carrera, Sofía Lama, Viviana Serna, Alex Garza, Sheryl Rubio, Erika de la Rosa, Eduardo Tanus, Alex Speitzer, Pamela Almanza, Vince Miranda, Ximena Ayala, and Claudio Lafarga, among others. Humor is always needed in telenovelas and "El Bienamado" is filled with crazy characters that will have us laughing out loud all year long. Jesús Ochoa leads the cast as Odorico, a man that is elected president of a small town under the promise that he will build a cemetery. He is not alone as he has the help of three single sisters, who he maintains a relationship with, without any of them knowing. "El Bienamado" also stars Chantal Andere, Nora Salinas, Irán Castillo, Mariluz Bermudez, Andrés Palacios, Alejandra García, Eduardo Manzano, Laura Zapata, César Bono, Fernando Ciangherotti, Ricardo Margaleff, Diego de Erice, Olivia Collins, Luis Gatica, Raquel Pankowsky, Mark Tacher and many more. Politics are going to be front and center in "La Candidata", a Televisa production that stars Silvia Navarro as Regina. She is a woman with strong principles and is devoted to her work. She is always looking for her fellowmen’s well-being but that makes her neglect her beloved ones sometimes. She studied and built her professional career next to Alonso, supporting him and contributing with her ideas to his own career. She fell in love with him at a young age and decided to be with him for life. After seeing Alonso has changed his true colors, she breaks down but tries to keep her marriage going so her family won’t fall apart. "La Candidata" has a stellar cast and included Rafael Sánchez Navarro, Susana González, Victor González, Ari Telch, Patricio Castillo, Nailea Norvind, and many more. Season 4 of "El Señor de los Cielos" left viewers what happened with Mónica Robles (Fernanda Castillo) after she received a shot in the back trying to run away from justice. For those of you following "El Chema", we know that Robles is in a coma, but Season 5 of the narco-drama will definitely show if she lives or dies. At the end of the season finale of "La Querida del Centauro", viewers find out that "El Centauro" (Humberto Zurita) didn't die. Yolanda (Ludwika Paleta) and Gerardo (Michel Brown) believe they will live happily ever after, but what will hapen when the kingpin returns to mess with their lives? Earlier this year it was also announced that Sandra Echeverría would be joining the cast of the new season. At the end of "Señora Acero 3: La Coyote", Vicenta (Carolina Miranda) swears to find her own justice. Her lover, Daniel Phillips (Luis Ernesto Franco) is now being pursued as he is being framed by Indira (Gaby Espino), who has close ties with the traffickers. Season 4 will explore what happens to them, as well as el Indio Amaro who is up to no good as usual. The shocking finale of "Sin Senos Si Hay Paraíso" saw the return of the original Catalina Santana, played by Carmen Villalobos. Viewers will be able to see what she has been up to and how she affects the family dynamic with her mother now married to her ex-lover.